Few plants herald the coming of spring like trilliums. Easily recognizable by their distinct form, mature trilliums feature three leaves in a whorl on top of which sits the blossom, whose floral parts also appear in multiples of three. 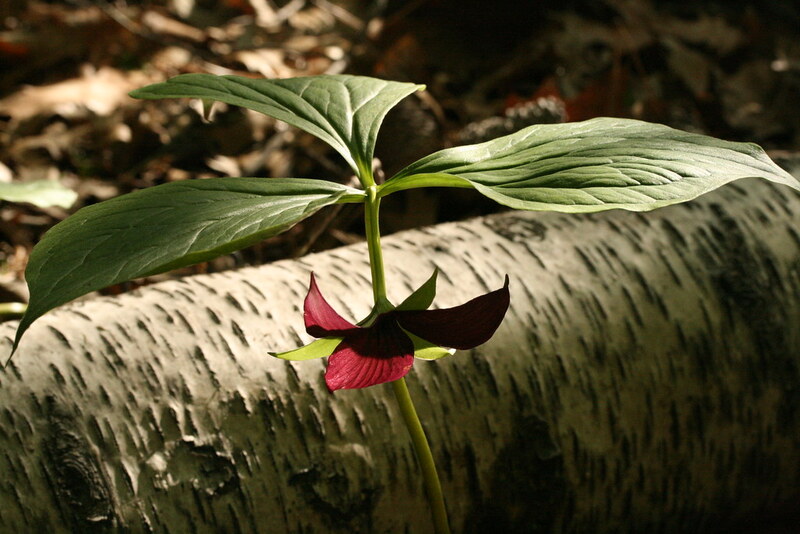 The blooms of pedicellate trilliums sit on a short stalk or pedicel where as the flowers of the sessile group sit directly atop the whorl of foliage. 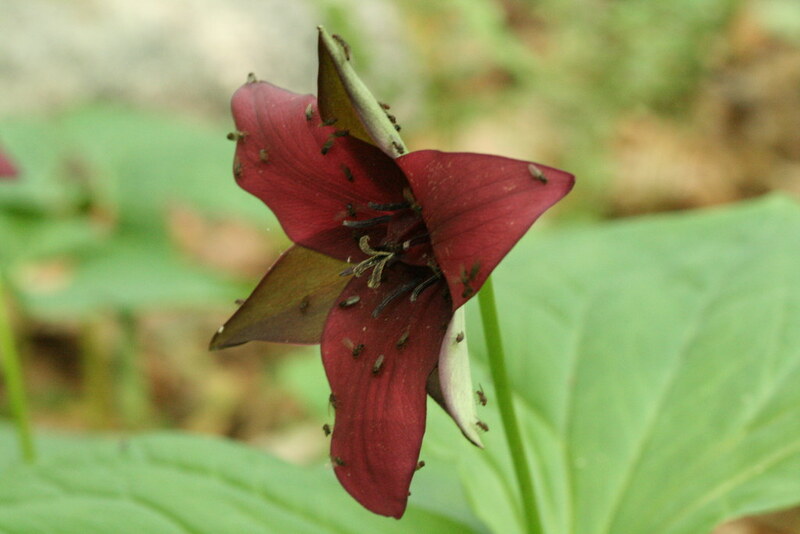 All species of trillium seeds are naturally dispersed by ants, who are attracted to a fleshy, fat globule attached to the seed coat called a elaiosome. The ants will take the seed a distance from the mother plant, eat the globule, and discard the seed or they will take the seed back to their nest and discard of the seed underground once the globule has been consumed. While not as showy as the white wake Robin, Trillium erectum is nonetheless quite attractive. A great deal of natural variation occurs, with the flower colors ranging from deep burgundy to cherry red and even to white. It is one of the earliest trilliums to bloom and sometimes suffers late frost damage. The fragrance of this flower has been liken to that of a fetid wet dog, hence some the common names. The flowers attract flies and gnats as pollinators. T. erectum can be found in northeastern of the U.S., southern Quebec, and Appalachian Mountain states. It prefers to grow in humus-rich cool soils, often in association with hemlocks (Tsuga sp.) rhododendrons, and laurels (Kalmia sp.) Further south in its range it becomes more of a high-elevation plant. It is also considered one of the most promiscuous of trilliums, readily hybridizing with at least three other species where their ranges overlap. A robust and tall plant, this trillium has flowers usually smaller than those of T. grandiflorum but with a creamier white color and a more textured petal. Its erect flowers last for a long time and do not turn pink with age like T. grandiflorum. Another distinguishing feature is that the blossom is often carried at a right angle to the pedicel. Its range is predominantly the eastern central U.S. and the southern Great Lake states but it does occur sporadically in eastern Pennsylvannia and extreme northwestern New Jersey. Flowering in May, this statuesque plant is most at home on rich wooded slopes in limestone derived soils and along stream valleys and upper flood plains. Perhaps the most elusive of trilliums, the painted trillium rewards its discoverers with pure white petals, a wavy fringed margin, and flushes of magenta pink in the throat of the flower. It occurs in rich, acidic soils and only in locations where the soil stays cool and moist. Only at its northern extreme does one find it growing exposed. Its distribution runs north from the highest elevations in Georgia along the spine of the Appalachians into New England and eastern Canada. Adding to its mystery, this trillium emerges, expands, and flowers at an alarming rate. Quite literally it could missed today and in flower tomorrow. 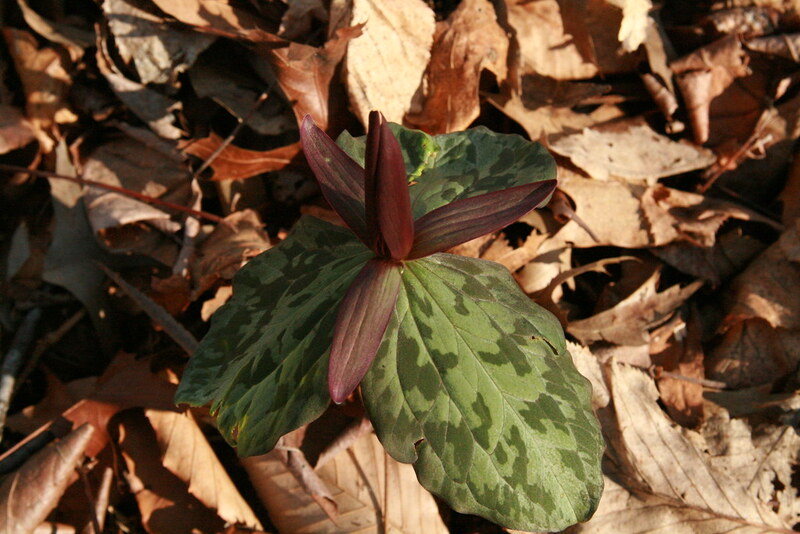 Painted trillium are considered amongst the most challenging to cultivate. 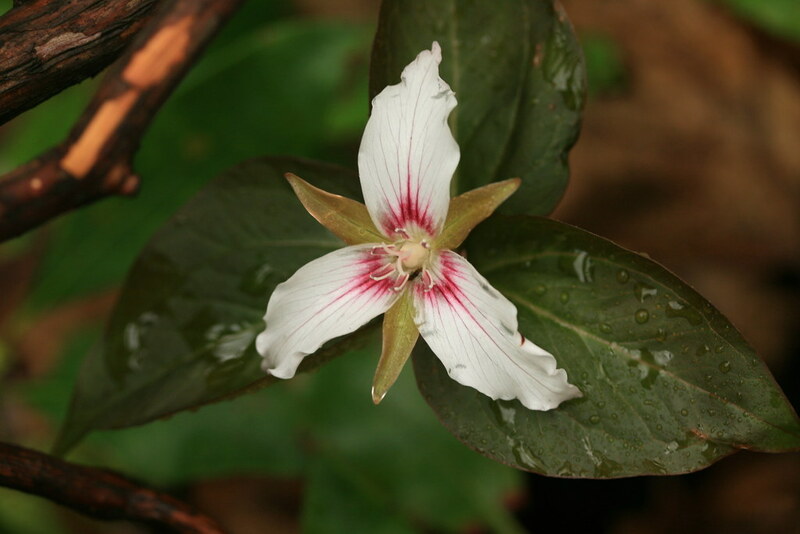 Named in honor of English-born American botanist George Vasey (1822–1893), this is one of the least known trilliums. If not for its nodding or declined flower, T. vaseyi would be the largest flowered and showiest of all the pedicillate trilliums. It prefers sheltered sites in wooded ravines and stream banks in deep, rich soils. It is rarely found as large clumps, instead occurring sporadically wherever habitat is suitable. The largest of all eastern sessile trilliums, this species occupies a vast geographical range, resulting in many variations in form and much confusion amongst botanists and enthusiasts. A burgundy red flower sits directly atop green and silver mottled foliage. The flower's fragrance has been compared to raw beef or a butcher shop, hence its colorful common name, bloody butchers. Tolerant of some competition, it has been found in open grassy fields as well as shaded woods, preferring to grow on sloped land rather than flat floodplain areas. Another charming spring bloomer with ghostly mottled leaves, this is perhaps the most recognizable of sessile trilliums. 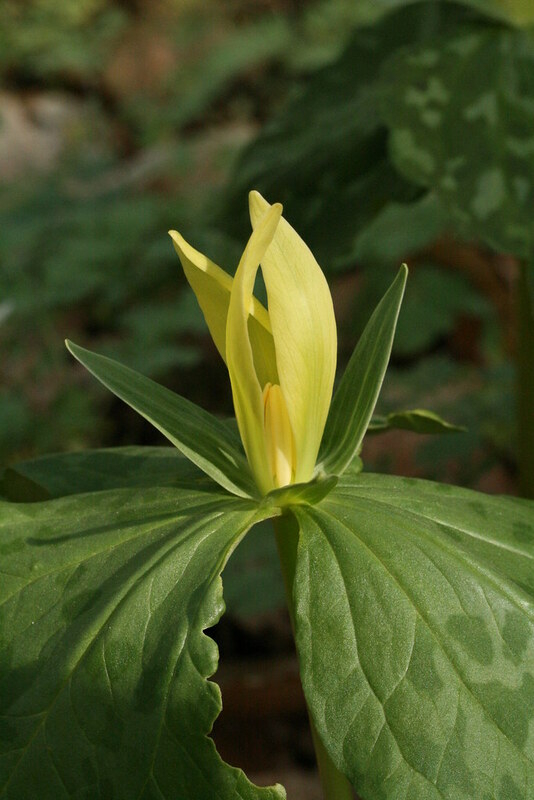 Growing in great abundance in the southern Appalachians, it is the only trillium with a yellow flower. It also sports the most pleasant fragrance among trilliums, a sweet lemony scent. Because of its ease of culture and popularity amongst horticulturalists and gardeners, it is widely available at local garden centers and nurseries. It grows in rich mature forest soils and thin open deciduous woodlands. 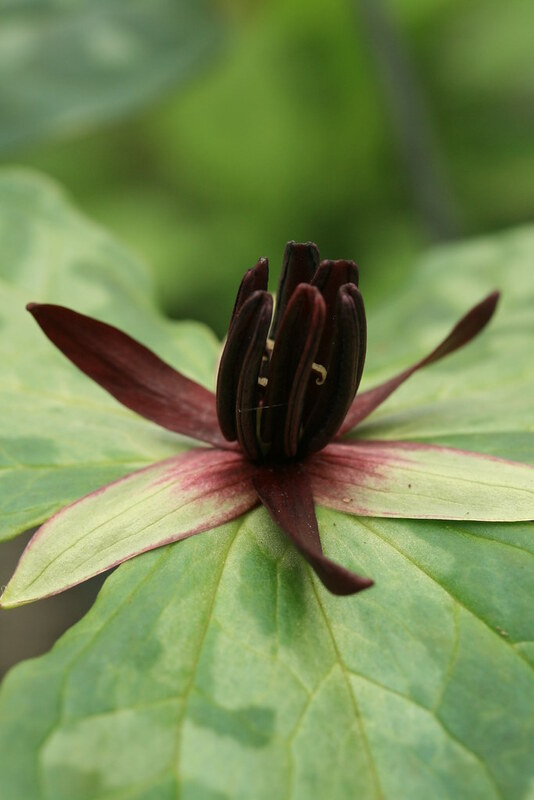 While not as showy as its sessile cousins, this trillium is remarkable due to the spreading, twisted oxblood petals and prominent upright stamens. The leaves bear mild mottling and the flower emits an unpleasant fetid odor at close range, likely pollinated by carrion flies and gnats. Its distribution is restricted to a narrow band between Alabama, Mississippi, and western Tennessee, growing along floodplains and streams in sandy or heavy clay soils. Twisted trillium grows sporadically and widely scattered, though in rich soil conditions it may produce thick clumps. Hi, thank you for a beautiful article. It is wonderful. 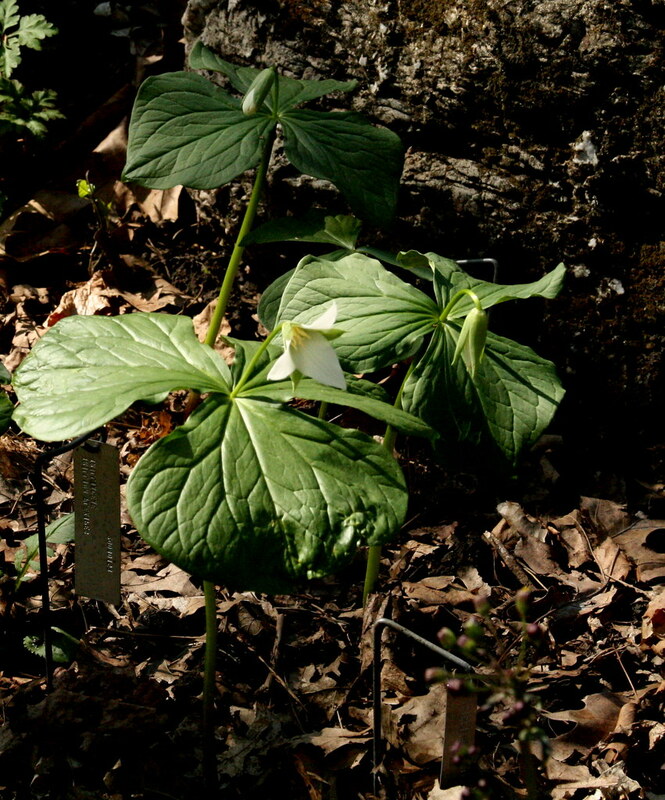 A great introduction to the genus Trillium. However, the picture you use to illustrate T. grandiflorum is another species. It looks like either T. flexipes or T. erectum var. album. 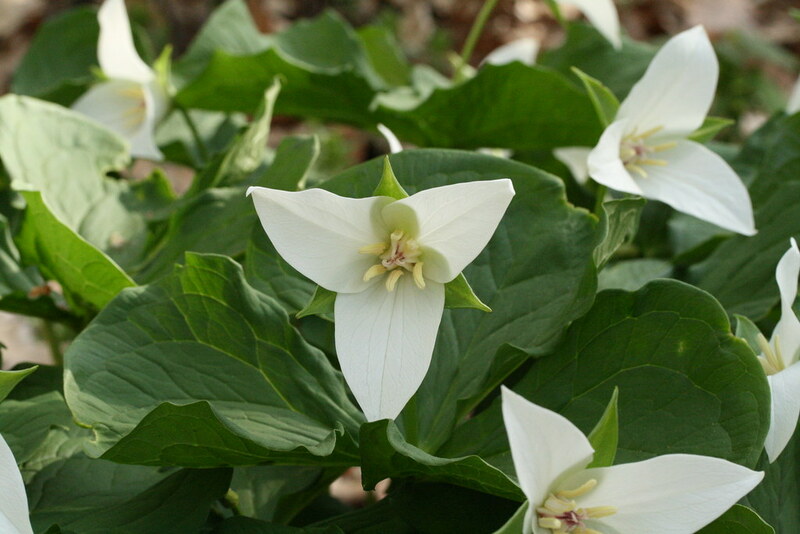 Considering that trillium is Ohio’s state wildflower, we sure don’t have many up here in Cleveland. The deer enjoy them too much for them to last long ... unless they’re planted in the center of a drift of noxious other plants. Ramps to the rescue! Trillium grandiflorum. Photo by Uli Lorimer. Trillium erectum with fungus gnats. Photo by Uli Lorimer. Trillium flexipes. Photo by Uli Lorimer. Trillium undulatum. Photo by Uli Lorimer. Trillium vaseyi. Photo by Uli Lorimer. Trillium cuneatum. Photo by Uli Lorimer. Trillium luteum. Photo by Uli Lorimer. Trillium stamineum. Photo by Uli Lorimer.